Comments: This ferm has curious, flattened, greeen rhizomes and is the reason that it gets its curious names. 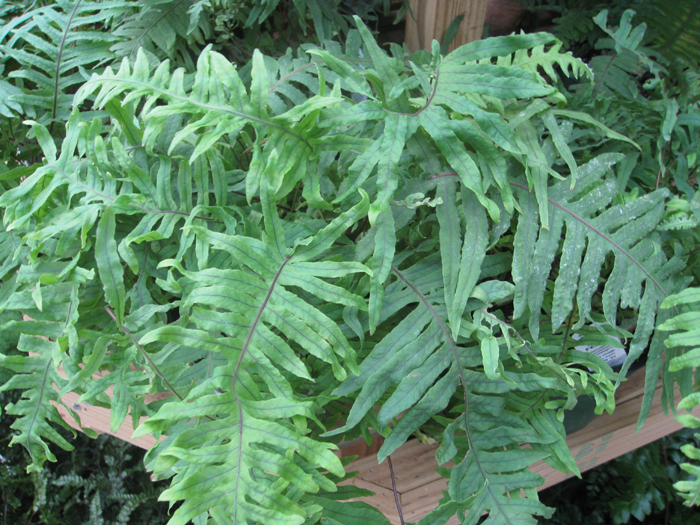 With its drooping, light green fronds it makes an excellent hanging basket. This, and other, ferns should be divided and repotted in the spring. They should never be subjected to bright sunlight where the temperataure is high.